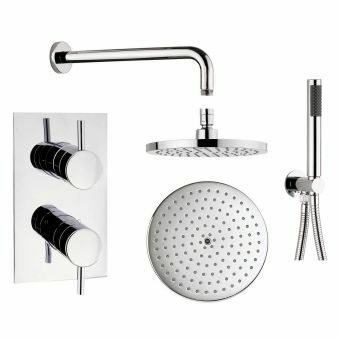 This attractive, wall-mounted shower kit demonstrates the Ideal Standard design and build quality, merging robust construction with distinctly modern forms. 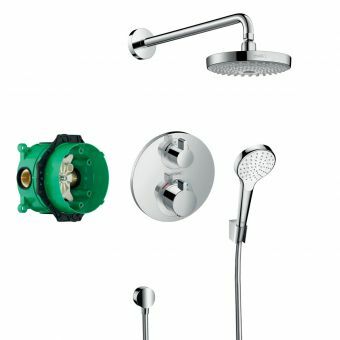 Featuring a hand set and mixer valve, this is a high standard kit but accessibly priced. 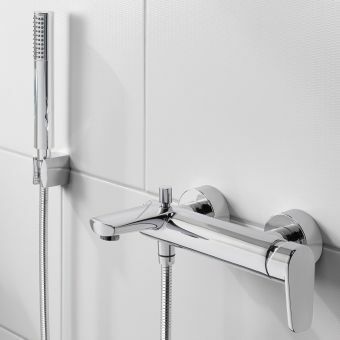 The IdealRain Cube M3 shower set gives a thoroughly relaxing and soothing water spray, with full control governed by the user-friendly mixer panel. 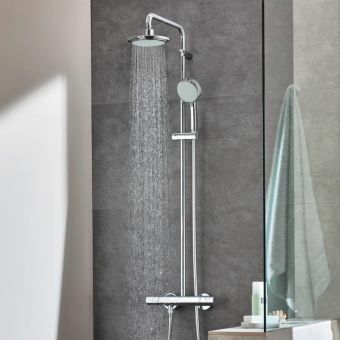 Simple and intuitive design makes this shower set a wholly refreshing experience, with the controls set onto a bold, minimalist square panel. 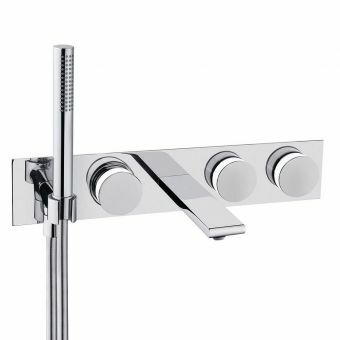 A chrome colour scheme and modern visuals make this an ideal choice for inclusion in a wide range of contemporary bathroom schemes. 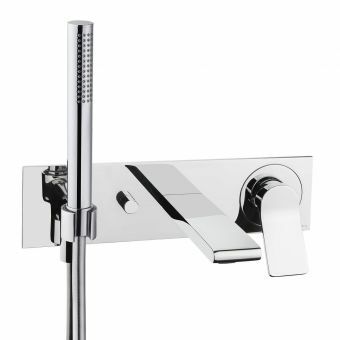 Cast in brass and complete with a 5 year guarantee, this is a durable product upon which you can rely on a daily basis. 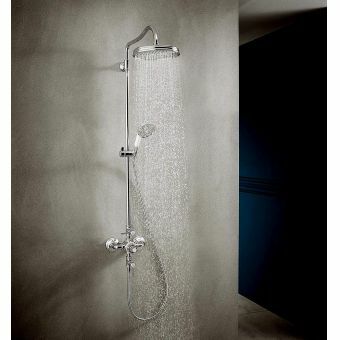 For further peace of mind, this item comes with a 5 year manufacturer guarantee.